Year after year, those two prints are still my top favorites. If you're also looking to shop for summer essentials in cool tribals and florals with a retro feel, you might want to check out what Solo has to offer. This season, Solo has a wide variety of swimwear pieces that cater to different body types and style preferences. Choose between solid color bandeaus, bikini tops and high-waisted bottoms in you guessed it...florals and tribal prints! Check out some of their hottest pieces modeled by Renee Soraya Hassani and John Edward Custodio: winners of this year's Solo Online model contest. Make sure to brush those summer jitters away and conquer the hot season in tribal or floral prints fromthis year’s one-stop summer shop!Too busy? Shop online, it’s easy and reliable! If you have an eye for fashion, then this is definitely for you! All you have to do is submit a dress prototype of your design together with an application form downloaded from Ensembles Facebook page. Contest starts at April 1 to May 31st, 2014! 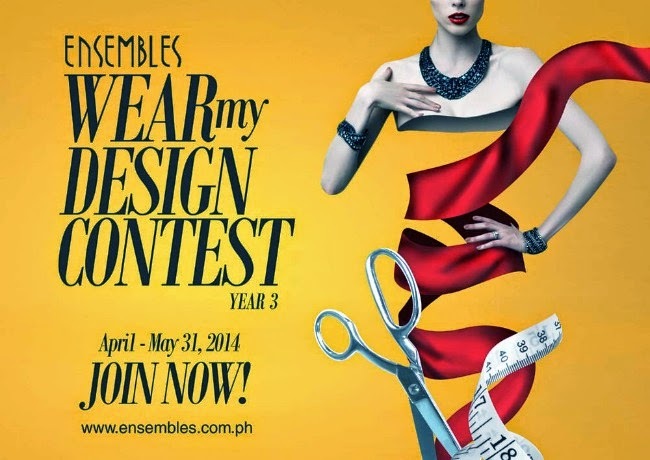 All submitted entries will be uploaded at Ensembles’ Facebook page for voting. Your spring dress design maybe the one unveiled next year!